Getting people to attend a quiz-night is all about telling them about it, and then compelling them to attend. This can be very simple - if you're lucky. But often it is a complex, time-consuming job which is critical to running a successful table-quiz. How much promotion do you need to do? Your budget (time and money and other resources). In some cases, to reach enough potential participants you may need half a dozen or more different promotional activities. But for some groups, one email to your key contacts maybe all that is needed to get ten times more enquiries than you have space to accommodate. To work out "how much" promotion you need to do, talk to people who have organised pub or table quizzes in your area or for your group before. Look at what you do for other events. 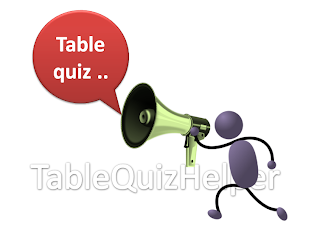 Possibly even do some market-research to find out if people know what a table-quiz is, how much they would pay to attend one, and what might stop them from attending - so you can design your quiz to minimize this. If all else fails, you may need to just run a small quiz to start with, and measure how much response you get. A picture paints a thousand words - or at least catches a thousand eyeballs. To promote a table-quiz, or any other event, in any way other than word-of-mouth, you need some sort of image. This is used on your posters, Facebook etc. Sometimes there is an obvious image-file that you can use, for example your organisation's logo, a picture from a recent event, or a picture of the quiz-location. Other times you may need to be more creative - or to find a friendly graphic designer who can create an image for you. Worse case, just use a picture like this - you can download an image-file for this here. 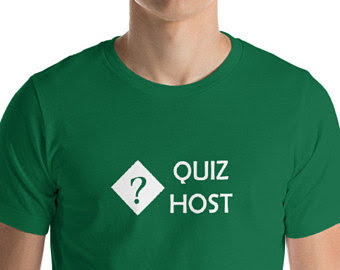 This is a tool for making sure that you and the rest of the organisers are totally clear about the information you use to promote the quiz. More information and a template are available here. Writing these things down, rather than just talking about them, gives you an overview of your promotions efforts, and lets you track that things are happening to get the publicity you need. A template for this is available at the bottom of this page. This is a list of ideas for things you can do to get publicity. In most cases, you won't do all of them. Just choose the ones that are the best fit for the type of communications you need. Run a competition to give away free tickets. No matter what you do, the most important promotional tool is always personal contact and enthusiasm: the organizers need to invite people themselves, and they need to ask people to invite their friends.